Political prisoner Ebrahim Firouzi, held at Rajaie Shahr Prison, has been denied adequate medical access despite severe toothache. He has been imprisoned since 2014 without a single day of leave. According to an informed source, due to being denied access to a specialist, his entire face hurts, affecting his ability to eat. 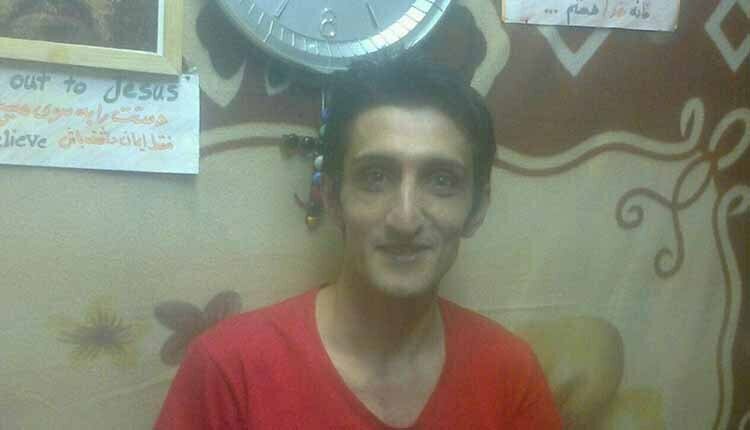 The 32-year-old welder has been held in Ward 12 for political prisoners in Rajaie Shahr Prison in Karaj, 32 miles west of Tehran, since 2014. He has been prosecuted three times since 2010 for converting from Islam to Christianity and allegedly organizing Christian religious meetings. When he was first arrested in January 2010, interrogators offered Firouzi freedom if he declared himself a Muslim. He chose prosecution and was convicted by the Revolutionary Court in Karaj of “propaganda against the state” for his religious conversion and alleged missionary activities and sentenced to five months in prison with an additional five-month suspended prison sentence. He was sentenced to one year in prison and two years in exile by Judge Hassan Babaie of the Revolutionary Court in Robat Karim, 16 miles southwest of Tehran. The decision was upheld on appeal. The third arrest took place on September 16, 2014. During interrogations in Evin Prison’s Ward 240, Firouzi was put under intense pressure to issue a false confession in return for freedom, but refused, according to an informed source. In April 2015, Firouzi was sentenced to five years in prison for allegedly “creating a group with the intention of disturbing national security” by Judge Mohammad Moghiseh of Branch 28 of the Revolutionary Court. Based on the decision by the Appeals Court, Firouzi will remain incarcerated until 2019.